Fine motor skills are the ability to make movements using the small muscles in your hands, wrists and fingers. We work on developing these skills throughout the school year. Gross motor skills are those which require whole body movement and involve the large muscles groups. They also includes eye-hand coordination skills as well. Religion is integrated in all aspects of our curriculum. Our weekly religion program is Seeds, which follows the Sunday Gospel. We strive to be the consummate “Bucket Fillers”. Advanced mathematical skills are based on an early math foundation—just like a house is built on a strong foundation. 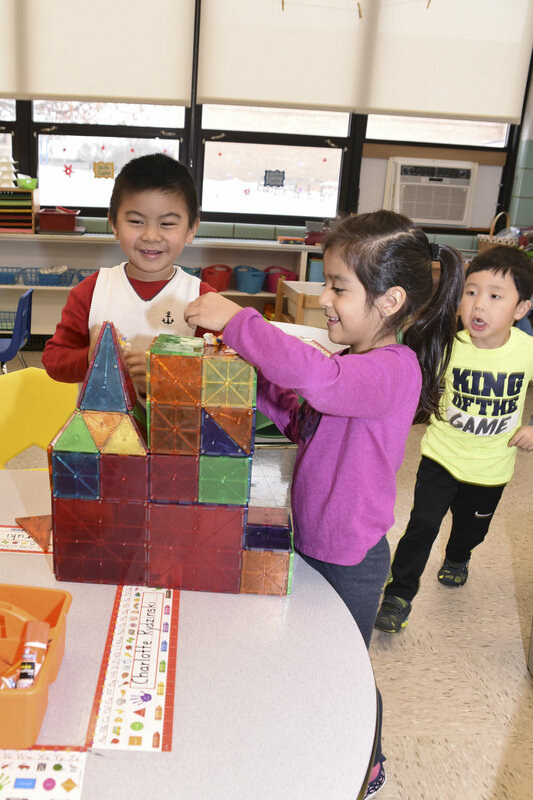 Students are beginning to formulate their early math skills through real-life experiences and manipulatives. To instill a love of reading and develop the ability to comprehend what is read. Topics of discussion revolve around observation, predicting and questioning the world in which we live. Introduction to communities, holidays and the world we which we live.